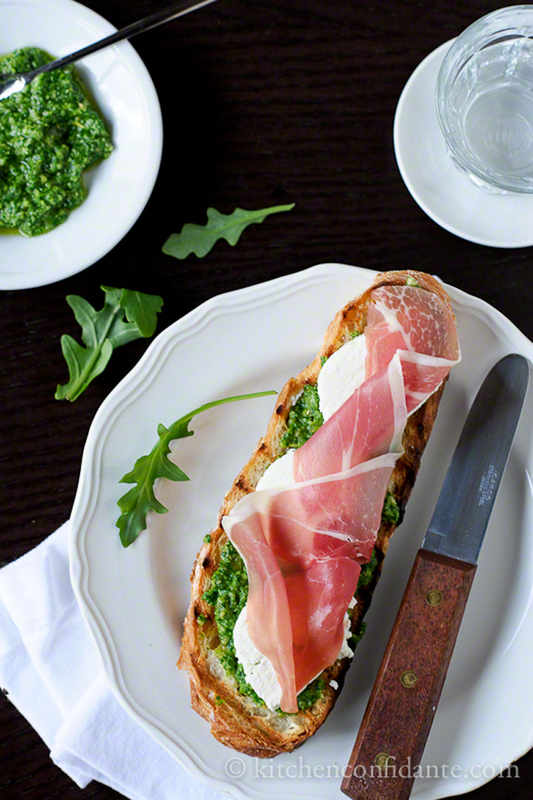 Let's make a quick Bruschetta with Mozzarella, Prosciutto and Arugula Pesto. INGREDIENTS: 8 slices of bread, 1 clove garlic, halved extra virgin olive oil (to brush on bread), 4 pieces mozzarella (it is equally tasty with goat cheese), 8 slices prosciutto, freshly ground black pepper. 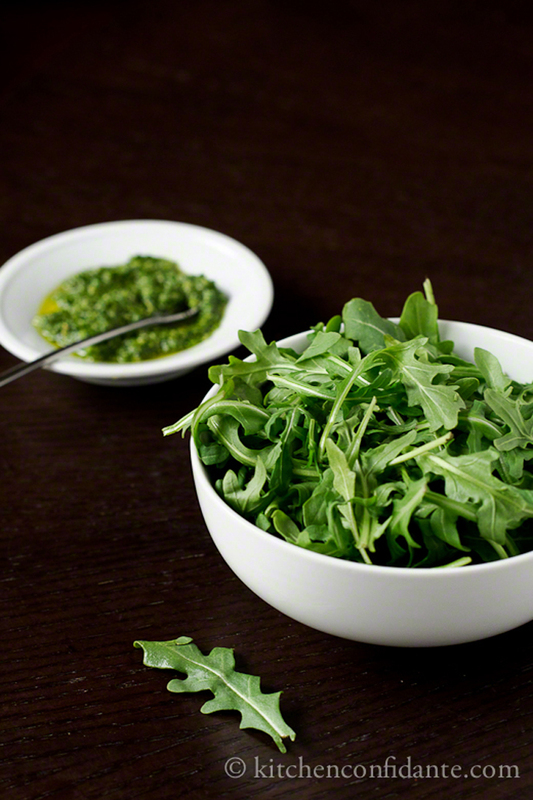 FOR THE ARUGULA PESTO: 1 handful basil (or you can use all arugula), 2 handfuls rocket arugula, 1/3 cup toasted pine nuts, 1/4 cup grated Parmesan, 1/2 garlic clove, 1/4 cup extra virgin olive oil. 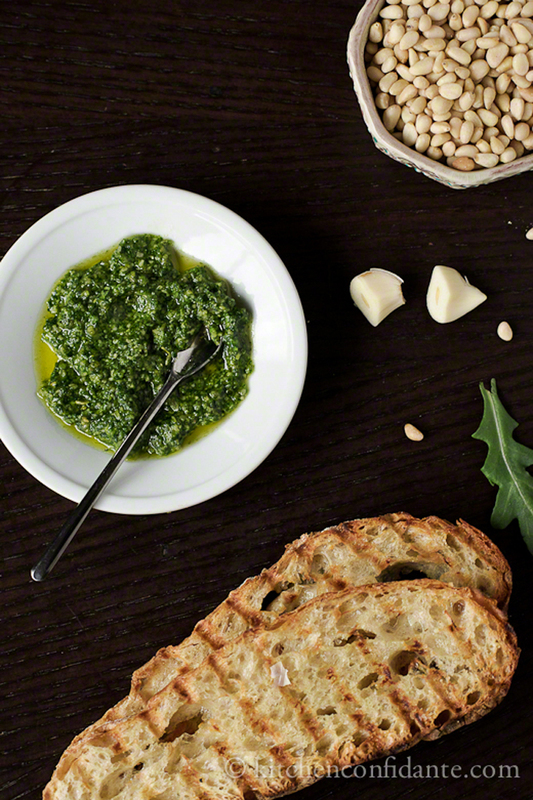 METHOD: Make the pesto by placing the basil, arugula, pine nuts, Parmesan and garlic in the bowl of a food processor and pulse so that it still chunky. With the motor running, add the olive oil. Try to make sure the pesto still has some body and is not thin. Brush both sides of bread lightly with olive oil. Toast the bread on a grill pan or in a toaster. Rub both sides with garlic clove. 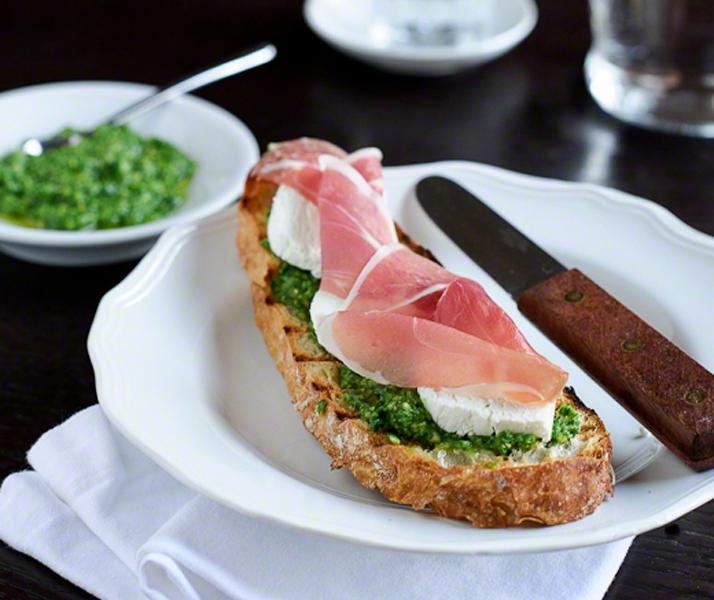 Spread pesto on top, and layer with cheese and prosciutto.